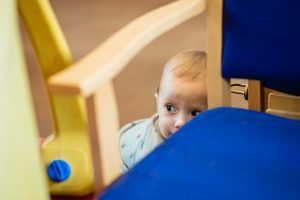 This fab blog was written by writer, sponsor and fellow ‘Freelance Mum’ Rin Hamburgh (who is 100% real and definitely not an imposter!). Thank you for your brillaint blog Rin. Business owner? You? Don’t be ridiculous! You haven’t a clue what you’re talking about. You’re just making it up. There are hundreds of people out there that are far better than you. Any minute now people are going to discover that you’re a fraud. Sound familiar? That’s the voice of Imposter Syndrome, and I’m sure most of us have heard it at some point in our lives. For some, it rarely goes away. And it can be exhausting. But here’s the good news: even mega successful women like actress Emma Watson and Facebook COO Sheryl Sandberg have admitted to suffering from imposter syndrome. You’re not alone. And you don’t have to put up with it! It took me ages to start referring to myself as the founder of a copywriting agency. It just sounded far too important when really I was just a busy mum doing my best with a few freelancers to help out with the workload. Even now that I’m building a team of employees I still have to fight the urge to justify myself, especially with big clients. So what can you do to reduce or get rid of imposter syndrome altogether? I think it was former US president Theodore Roosevelt who said, “Comparison is the thief of joy.” It’s also a big factor when it comes to imposter syndrome. The problem with comparison is that we compare people’s outside with our inside. So we see all these amazing business owners and think, “Crikey, they’re doing so much better than me!” But we forget that inside they’re probably feeling the same – and they’re looking at your outside and thinking you’re doing well too! If you set the bar too high, you’re setting yourself up to fail. The truth is that no one gets it right all the time – not Deborah Meaden, not Richard Branson, not anyone you admire in the business world or anywhere else for that matter. So be realistic with yourself. As you do that, you will be able to act in a much more authentic way. You’ll start to feel like yourself again and so that sense of being a fraud will slowly start to disappear. The thing about imposter syndrome is that it festers away in the dark. As soon as you bring it out into the light it’s much easier to deal with. Talking about how you feel will help you to see things for what they are. You could share your worries with a friend, find yourself a mentor or coach, even get some therapy if you think it could be useful. Personally, I’ve done all three in the last year and it’s had hugely positive results! You’ll also find plenty of support at Freelance Mum. Because we’re all in the same boat and we totally get it. And that’s invaluable. While no one is suggesting you should live in the past, it is really important to stop every now and then and take a glance back at the road you’ve travelled. 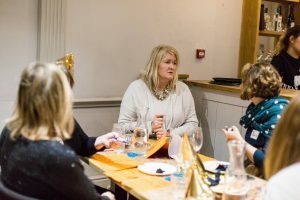 You may feel like an imposter, but if you think about where you were five years ago, or a year ago or even last month you’ll probably realise that you’ve already improved as a business person – and that means you’ll continue to do so. Remember that we’re all a work in progress. It’s a very British habit to shrug off compliments or try to justify or explain them away. But people don’t generally bother to say nice things unless they mean it. So when a customer or client gives you a testimonial, don’t just see it as a useful marketing tool. Really absorb it and let it bolster your self-image. It could be that the reason you’re feeling insecure is because there are areas of your business you don’t actually feel that confident about. You might be an excellent photographer but not really understand turnover and profit margins. Or maybe you’re a top notch designer but have no idea how to actually go about selling your services. If that’s the case, why not get some training? 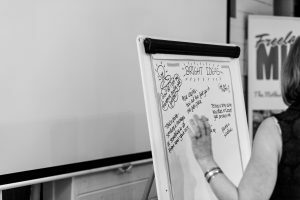 There are all sorts of workshops out there – online and face to face – some of which are free through organisations like Get Set For Growth. With a bit of extra knowledge under your belt, you’ll soon start to feel more confident. There’s nothing more stressful than slogging away at things you just aren’t any good at. And it’s ok to admit where your weaknesses are! We all have them. If you’re no good with numbers, get a book keeper. If thinking of interesting things to say on social media gets you all flustered, outsource it. By operating in your “zone of genius”, you’ll experience more confidence boosting wins – and the stuff you’re outsourcing will get done more efficiently and effectively too. 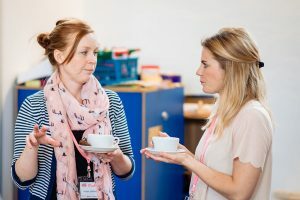 If you’re looking for a supportive network in which to grow your business and your confidence, come along to Freelance Mum in Bristol. 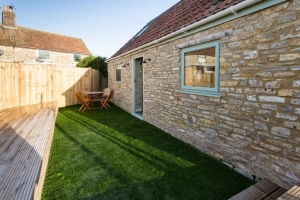 We meet on the first Tuesday or every month at St Paul’s Church and on the last Friday at Windmill Hill City Farm. We’d love to see you there. Bristol based voice-over artist and broadcaster Faye Dicker will be hosting a mini-festival celebrated the diversity of solo-preneurs as part of National Freelancers’ Day in June. 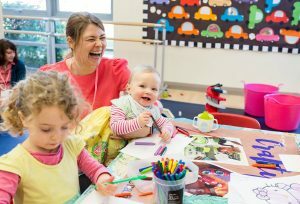 Faye, who is the founder of parent-friendly business organisation Freelance Mum, was asked by The Association of Independent Professionals and the Self Employed (IPSE) to host the Bristol event, marking the first ‘day’ of its kind in the country outside of London. 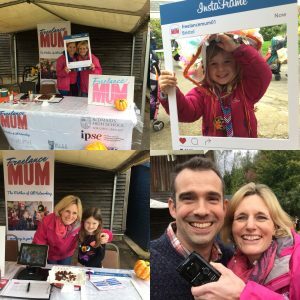 Faye said: “IPSE have been sponsoring Freelance Mum since 2016 and they asked me if I would host National Freelancers’ Day in my home city. 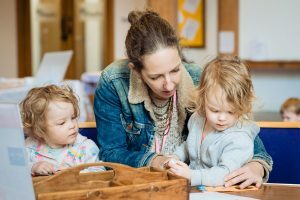 Freelance Mum at The Farm to mark National Freelancers’ Day takes place at Windmill Hill City Farm in Bedminster, Bristol, on Thursday, June 28 from 10am to 3pm. The theme – to tie in with the World Cup – will be around teams and working together. The morning session, from 10am to noon, sees the signature ‘Netwalk’ taking place through a marketplace of stalls, and a talk by Linda Davies-Carr, owner of bespoke coaching company The Master Fixer, on setting yourself up for success and getting ready to take the next step. 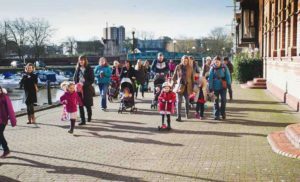 From noon until 1pm, entertainment will come from the newly-formed Business Choir in their first live performance – an organisation set up freelance parent Amy Box. In-keeping with the World Cup theme, the afternoon session, from 1pm to 3pm, sees a guest panel discuss how to build your dream team. Speakers include media consultant and journalist Fiona Scott, LinkedIn expert and Front of Mind coach Greg Cooper, and entrepreneur and growth coach from Spotless Group Darren Clark. There will be a chance to put your questions to the panel. National Freelancers’ Day also takes place at King’s Place, central London, where awards will include Freelancer of the Year and Ambassador of the Year. Faye is one of just four individuals shortlisted for the national Ambassador of the Year Title. 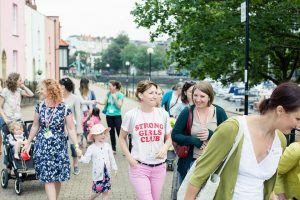 Faye said: “It’s important to stress the Bristol event on June 28this open to anyone, not just freelance mums, so if you’re self-employed or freelance then you can come along. And even if you’re not, come along anyway and enjoy all the stalls. Tickets are available for either session or the whole day. To book, and for more information. 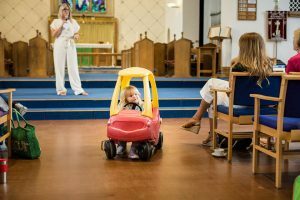 With huge thanks to Fiona Scott Media Consultancy, for working together with Freelance Mum and writing this press release and Nicola Jane Photography for the image. A friend of mine recently posted a shout out on social media, asking whether anyone had any experience of having a stand at an exhibition and whether it was worth it. It was really interesting to see the responses. For some, it just wasn’t worth the time, money and effort. But others had stories of how it had gained them some great new business as well as exposure. The truth is that there are many different factors that might influence your decision as to whether or not having a stall is worthwhile. How much will it cost? Are your target clients or customers going to be there? Do you have the time or capacity to man the stall for a whole day, bearing in mind that it’s a day away from your desk and your client work? Personally I’m still wavering on some of the big events where I’d need to spend several hundred pounds on the space alone. 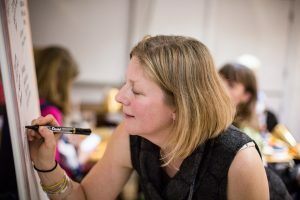 But when I found out about the Freelance Mum National Freelancers Day event on 28 June – where stalls are just £25, or £20 for FM members – I jumped at the chance. Not only am I certain it will be loads of fun (how can in not be with Faye in charge?!) but at that price it’s the ideal opportunity to practice ‘stall craft’ and test out ideas that I may go on to use at future events. Researching this blog post has been a fascinating experience. Because another thing I’ve realised is that the value you get out of exhibiting is as much about how much effort you put in as anything else. 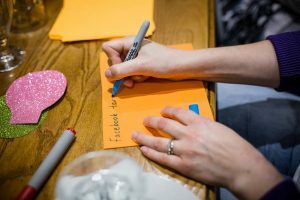 So here are some ways you can maximise your experience should decide to come along to Freelance Mum’s National Freelancers Day extravaganza or any other event. What do you want to get out of the event? Do you want sign ups to your newsletter? Make sure you have a sign up sheet or a laptop where people can fill out their details. Are you hoping to make a splash on social media? Consider investing in an Instaframe (you’ve all seen the brilliant FM one!) and get everyone who visits your stall to use it and tag you in the post. By knowing in advance what you want to achieve from the day, you’ll also be better able to track how successful you’ve been rather than just guessing from how it ‘felt’. In a room full of businesses all hoping to gain people’s attention it’s important that your brand is instantly recognisable. Whether you go for a simple roller banner or invest a decent sized budget in kitting out your stand with the whole works, it’s definitely something you need to think carefully about. If at all possible, do use a graphic designer who can help you get the professional finish – we’ve got lots of lovely people in the Freelance Mum gang who can help! The more outside the box your thinking, the more memorable you will be. You’ll also attract more people to your stand in the first place. I went to an event where local tech company Black Star had hired an ice cream machine and were giving away pitch black ice cream! And Faye was telling me about an accountancy firm who hired a beautician to give people mini manicures while they were chatting about their business finances. It’s worth noting that both of these companies are service based, proving you don’t need to be selling beautiful products to make getting a stall worth it! Attracting people to your stand isn’t the end of the story. You want them to remember you when they walk away too. This might be because you had a really engaging video or animation playing, or everyone manning the stall was dressed head to toe in gold (well, you would remember that wouldn’t you?!). Also be sure that you have printed marketing material they can take away, whether that’s a brochure, flyer or even just a business card (you’ll need more than you think!) – something that will jog their memory when they’re clearing out their bag later and hopefully prompt them to get in touch. You don’t have to wait for people to contact you after an event. If you’ve planned properly and made sure to collect contact details, you can get in touch with them. The key is to ensure you have their permission so you meet GDPR requirements (Cat Ainsworth from The Dot Project did a fab talk on this at FM this month, so she’s the person to ask for more details). Following up to say thank you for visiting the stall or perhaps offering a special discount is a great way to put yourself back in their mind and hopefully develop a relationship that will lead them to buy from or work with you in the future. If your head is buzzing with ideas now (mine certainly is!) 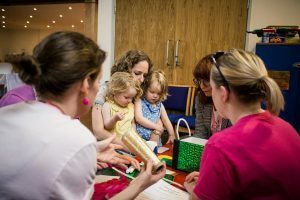 then why not put them into practice at the Freelance Mum National Freelancers Day event on Thursday 28 June from 10am to 4pm. You never know, you might just get the exhibiting bug! This fab post has been written by Rin Hamburgh. 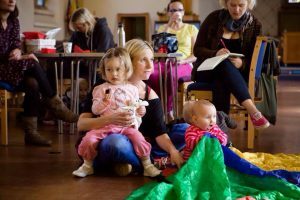 I am proud to sponsor Freelance Mum and whilst I don’t always manage to get to the meetings I think what Faye does is fab and the Evening Sessions last week was lovely. 1. Be crystal clear on your goals and make sure they are written down. 2. Everyone needs a business coach – whether it’s paid, unpaid or a straight talking mate – everyone needs accountability and some straight talking! 3. You need to know your numbers – if you don’t know your numbers you won’t be managing your business. What gets measured get managed! 4. Manage your pipeline – you need to know who next week’s, next month’s customers are. You need to create new customers flowing into your business. 5. Be flexible and supportive – but don’t be a pushover. 6. Time management – it’s YOUR time, but it’s your mind that manages it. So learn how to develop MIND MANAGEMENT and you’ll find the time. You know we all have the same 24 hours in the day, so be conscious what you spend it on. If you’re not sure then complete a work day audit. If you don’t know how drop me a line and I’ll send you a checklist. 7. Work harder ON your business than you work IN your business. No one has the time – so you have to make a conscious decision to carve out the time. Refrain how you think about it. It’s not admin – its business development. 9. Give it away over and over again – it will serve you and your business. 10. Do what you do best and outsource the rest – my favourite and my “go to” classic advice. If you think you can’t afford it, my guidance would be you can’t afford not to. 11. Mindset – your confidence will come from your mindset, so mind your mind. Download a free app, seek help, but take action. 12. Surround yourself with an epic team of people and friends. You are the average of the 5 people you spend the most amount of time with – so choose carefully. If you’re serious about adopting a rock-solid mindset that will help you generate more sales, and lead you to new levels of monthly income, look out for a brilliant affordable coaching membership community (for less than the cost of 2 coffees a week): The Straight Talking Collective launching in January 2018 with brilliant offers for Freelance Mum Members. Faye will have a link to share with you all soon. In the meantime please check out my website for lots of free resources and useful information www.themasterfixer.com and pop over and say hello on social media. 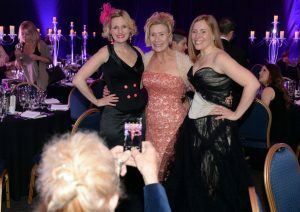 Cbeebies presenter, Katy Ashworth, has become ambassador to the Bristol networking group, Freelance Mum. 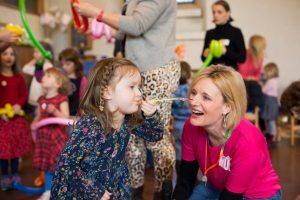 The ‘I Can Cook’ presenter and children’s entertainer, joined Freelance Mum earlier this year, when she guest spoke at their Brave, Bold and Bonkers event in March on International Women’s Day. “I’m delighted Katy is joining us. From the moment we first spoke, we just clicked – we shared the same understanding of freelancing and motherhood. 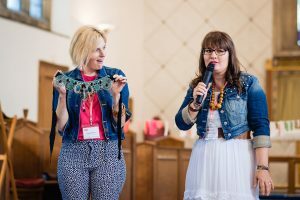 When Katy guest spoke in March, she instantly connected with the group. She might be a celebrity, but she ‘gets it’, people relate to her world and her to ours. The mums and little ones all love her”. 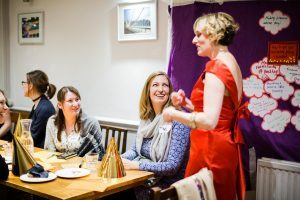 Freelance Mum runs networking events in Bristol, which allow parents in business to network and crucially, bring their children. 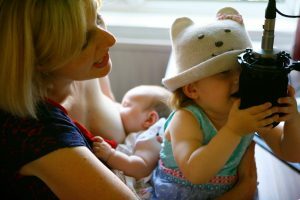 Born of Faye Dicker’s own need, after having children, Freelance Mum started as a blog and podcast in 2013, to help freelance parents connect. The networking events launched in July 2014, after realising there was a need for parents to meet face to face. The group now meets twice a month at Windmill Hill City Farm and St Paul’s Church in Southville. Attracting up to 40 mums and their children, to each meeting. 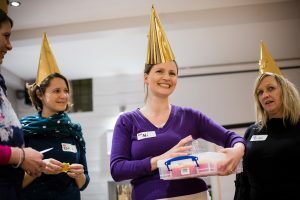 Katy will be speaking at their third birthday party, on July 13th on ‘Why 3 is the magic number’. View the event details on the Freelance Mum website.